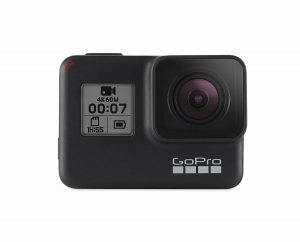 Are you a beginner who has absolutely no clue about action cameras, but wants to purchase one this season? Well the first thing that you need to know is that action cameras do not work like any other type of camera. They are specially designed to shoot specific kinds of videos and they are attached to surfboards, cars, helmets, and other moving objects. They are quite compactly made due to the specific functions they perform, are not that complicated to use, and sturdy. In this guide, we will be giving you a basic idea about action cameras. We will also be listing some of the best action cameras available today in the market, which promise high-definition video recording. SHOW ME THE TOP 10 ACTION CAMERAS NOW! There are certain features which these cameras boast of, and that have made them quite popular recently, like small size and dramatic “point of view” (POV) footage. A lot of young sports players shoot their adventures by attaching a camera to their sports equipment. There are many youngsters who engage in different kinds of sports, like surfing, windsurfing, skimboarding, paddle boarding, mountain climbing, etc, and they like to capture their adventures and make them a living part of their memories. Action cameras are also used by television production companies to shoot at particular angles where using a video camera would not be possible or would be unable to deliver the desired shot. However, do not think that to buy an action camera you necessarily have to be an adventure sports lover or a TV show owner. They can also be used for shooting regular events like family functions, birthday parties, sports events, or even used on a vacation with friends when you just want to document your time spent with the people you love. There may be a lot of questions running through your mind with regards to which brand to choose and what features to look for. Do not worry because we are here to clear all your doubts. One key feature of action cameras is that now all models help you shoot 4K footage. Of course some cameras do offer faster frame rates so that you get a smoother footage. Many top-notch models offer slick image stabilization systems to deliver the best quality possible. If you are thinking that an action camera will allow you to only shoot videos, it is not so because you can also click still images using this camera. However, if you expect the quality of pictures to be better than a point-and-shoot camera, you will be disappointed. There are many other feature that these cameras come with: touch-screen control, GPS system, Wi-Fi, etc. These extra features can sure raise the price of the model but they do make your task easy in certain situations. If you are not willing to spend that much, don’t worry because you can still shoot high-quality videos without the extra features. The best action cameras 2018 in the market are produced by GoPro, which is no doubt the market leader today. They are available in a variety of models and a variety of price ranges. You can of course check out other brands too if you want. Whatever kind of an adventure seeking person you are, there is an action camera to match your spirit. 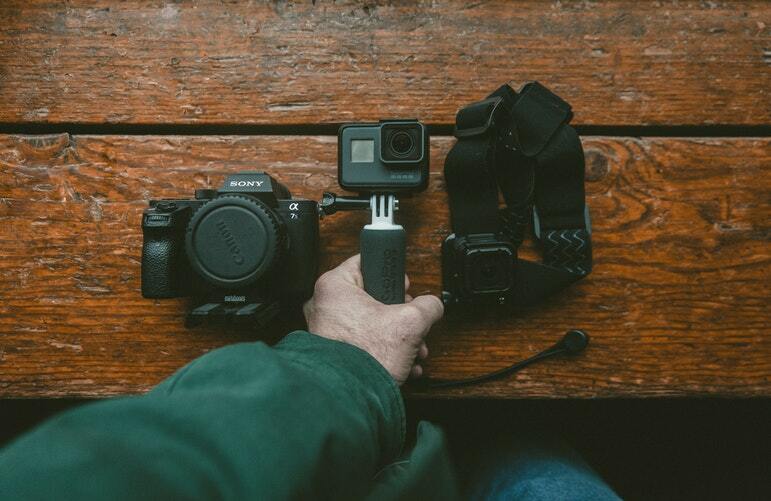 In this guide, first, we will be highlighting some of the factors you need to consider before purchasing an action camera. 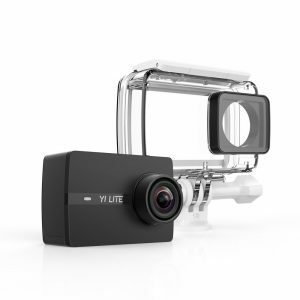 The next section will include a list of some of the best action cameras of the year. So hang on to get more and more useful information. Finding an action camera which is right for you can be an overwhelming task because of the kind of variety that is available today. The options are endless because cameras are now available at a large number of retail stores and online shopping sites. It can be particularly tough if you are a beginner, but we have made your task easy by listing a few important factors for you to keep in mind before you seal the deal. The first and foremost step is to decide how much you are willing to pay for a brand new best adventure camera. Nowadays you get several options to choose from, and the less features you demand, the less you have to pay. Certain features like camera stability and video quality cannot be compromised on, but additional features like Wi-Fi capability, extra waterproof depth, ease of mounting, etc are not that necessary if you can’t afford to pay much. Loosely form a budget and then after selecting a few good models you like, you can make a few adjustments in it and at the same time not compromise on quality. Before you add a few models to your shopping cart, wait and decide what you will be using your camera for because it will determine the camera that is apt for you. If you are a water sports enthusiast like a professional windsurfer or a paddle-boarder, then the feature you will be interested in the most is the waterproof depth that the action camera provides. If you are into hiking or mountain climbing, your needs will be different while if you are looking to buy it for TV filming purposes, your requirements will again differ. You need to be sure of how you plan to use it before purchasing a model and then realizing that it is not what you needed. You might require a best action camera which is waterproof down to 40m by itself, or a camera which needs a protective cover, or a camera which can take severe thrashing without breaking. It could also be that wireless functionality is the most crucial to you, or a GPS system, or phone connectivity. Therefore it is better if you familiarize yourself with different functions of an action camera and then decide how you plan on using yours, and finally purchase one which suits your purpose. If you are buying an action camera just for the sake of owning one, without any particular purpose, then video resolution and quality won’t matter much to you. In such a case you can perhaps also expect a cost decrease because you do not demand high-quality videos from your camera. Today 4K resolution is the highest video quality option available in the market. It is followed by 1080p and 720p. If you are confused with regards to what to choose, it is simple – it depends on what you will be using your camera for, as was highlighted in the previous point. It also depends on the kind of devices you will be using to view your videos. 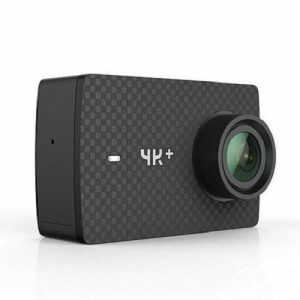 For example, if you do not own a 4K computer monitor or a television, then there is no point considering buying a 4K action camera. When searching for action cameras online, you will find that some models and certain brands offer more advanced features as compared to others. For example, some of the best action cameras offer an amazing zoom range and a wider lens to let you capture more of the landscape. If you only want to make videos and upload them with minimum amount of editing, other considerations like software capability, high image resolution, etc, might not be on the top of your list. If you think of yourself as a film buff, and you like editing videos, or find editing necessary, then we suggest you look for other camera functions too, like image-capturing capability, app integration, frame rate, etc. If you plan on using your action camera under extreme weather conditions like heavy rain, snow or underwater, then you should precisely focus on waterproof features that the camera offers. Some of the best action cameras come with water-resistant outer bodies, and there are a few which need to be kept inside a waterproof case. When you are windsurfing, paragliding, biking, or engaging in any other adventure sport, occasional wipeout is inevitable. Wipeouts can really look great when captured by an action camera. In all, the durability of the camera depends on the kind of camera you choose and how you plan to use that camera. There are many high-end brands which charge a lot of money, but offer high quality products which can last a lifetime. It is finally your decision and you have to think accordingly and purchase one which can handle your active lifestyle. Certain shapes are more suitable for particular applications than others. Many types of action cameras are box-shaped; it makes them ideal for chest mounting. Other action cameras come in a bullet-shaped design. Those cameras are used for helmet mounting, this shape is ideal for those who are water sports enthusiasts. Now if you consider the size and weight, we suggest you go with the lightest of models because a compact camera offers maximum portability. FOV or Field of View is the area which your camera can shoot at any given point. Some of the best action cameras offer a wide-angle FOV. There are other action cameras which offer different options, like wide, medium, and narrow. The camera’s FOV can be important to some, again it depends on how you plan on using it. However, do not forget that wide-angle footage shot with an action camera can at times look a bit contorted plus have a fisheye effect. If you plan on using an action camera for clicking still pictures, you may have to definitely consider the image quality the camera offers. It is a simple phenomenon; the more the megapixels, the higher the photo resolution. Such action cameras which offer high image resolution usually cost more. So if you are low on budget, do not worry because you can still optimize the clicked image to suit your needs. Different action cameras in the market come with different image resolution options, varying from as low as 720p to 4K while 1080p is regarded as the standard option. Many people think that 1080p will be ideal for them, specifically on social media platforms such as YouTube. However, if you want more clarity, go for improved 4K recording. Many people find that 30 fps (frames per second) speed is a more than acceptable playback speed. Those who want to explore more options when modifying their footage or still pictures can go for a best action camera with 120 fps. Many types of action cameras easily offer continuous use of 1 to 3 hours before their battery dies. It also depends on how you use it and for shooting what kind of videos. Like, if you are shooting higher resolution videos, then it can drain your battery faster than clicking still pictures. If other connectivity features like Wi-Fi, bluetooth, and GPS are turned on, they can drain the battery of your action camera. 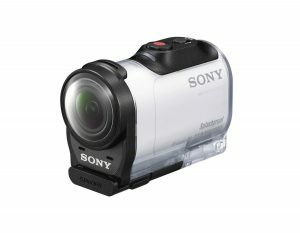 Many users prefer buying the best action cameras which offer the longest battery life for continuous uninterrupted use. However, you need to keep in mind that a camera with a longer battery life may cost more as compared to others, or it may not offer additional features that you necessarily want. You will have to check all these things thoroughly before you make your final decision. If you still want to opt for a longer battery, make sure to check the price of the model and availability of extra batteries from other brands that are on your list. It is good if you can easily transfer or upload your videos and images to the web; share them with your laptop, computer or smartphone, especially if your camera doesn’t come with a screen featuring preview and playback options. Connectivity is a feature which allows you to use your action camera with other additional accessories which need WiFi or other connectivity alternatives. What do you need to get the best performance out of your action camera? Probably a great memory card which works fast. If your memory card does not have fast write speed, it can cause dropped frames and those can lead to shaky footage. The most preferred one is a class 10 card and hence it is the least you will require. Whichever camera you choose to buy will support the UHS-II standard, offering you write speeds which equal 312MB/s in some of the most expensive cards. If you plan on using your camera while surfing or any other shaky water sport then you will require the right mount to make sure your camera stays fixed on your surfboard. Not every other brand offers the correct type of mount you need or the ideal accessories you may require before you get into the deep sea. We recommend that you go through each brand’s website or the retail store you are thinking to buy from to check what all accessories the brand offers. Check the kind of mounting options that are available to you. Some of the best action cameras 2018 come with a few mounting options with the set itself. However, extra mounting options may also be available in certain brands, if not in the model you have selected. Sometimes a particular brand’s mounting accessory won’t work with another brand’s action camera, therefore check before you buy to not end up regretting later. Your mounting options certainly depend on the sport you will be engaging in. If you are a beginner and are buying an action camera, or for that matter any camera, we recommend that you seek a more easy to operate model. We all know that some people are tech-savvy than others and others are not. You should go for a model which is not too sophisticated for your needs. Many latest models operate with integrated applications and hence need a smart phone during their functioning. There are other cameras too which are stand-alone units. Different cameras offer varied kinds of features, like waterproof case, several mounting options, etc. What works best for you will be user-specific, as well as, very subjective. There are many extra features which a best action camera offers, like Wi-Fi capability, ease of mounting, battery type, waterproof depth, etc. The choice of these features is also very much user-specific. First, we will talk about the Wi-Fi capability. Some action camera users prefer capturing their videos and then going home before they upload it online. Other users who are probably more active on social media prefer going live or uploading their video footages instantly plus efficiently. Based on your usage you need to decide whether you want Wi-Fi connectivity or not. The next one is the mounting capability which we have discussed earlier. You cannot have an action camera which offers no mounting capability. Some models are specially designed to be mounted on advanced and modern equipment such as drones. On the other hand, some systems employ a proprietary mount. The kind of mounting option you need also depends on the adventure sport you are into. As some sports require you to fix your best action camera to your helmet and others may require you to fix it to your chest. The next additional feature is the battery longevity which we have already discussed in brief in one of the previous points. There are actually 2 basic types of action camera batteries: those which are removable and those which are integrated into the camera. Replacement batteries can escalate the cost a little more. Many people prefer buying action cameras with the removable battery type because then you won’t have to plug in your camera frequently. Some camera batteries can last more than 3 hours before requiring to be recharged, but those cameras are often costly. Waterproof depth is the last additional feature to consider on our list. Those who are involved in territorial adventures sports like hiking and mountain climbing may not care to consider this factor. However, those who essentially want to use their action camera during water sports like windsurfing, river-rafting, paddle-boarding, deep sea diving, etc necessarily require a waterproof one. Some action cameras are waterproof to a certain depth levels of 6 feet or so. GoPro is the brand whose cameras are best for those who want to make footages under water, as its cameras are specially designed to offer a waterproof rating of 131 feet inside their waterproof case. You need to consider all of these factors before you make any decision because they will determine your satisfaction with your purchased product. You shall read up more, get into more details if you like, and do your thorough research. If you keep these crucial factors in mind, you will be able to find the best action camera which is perfect for you. The next section of our guide will focus on product reviews of some of the best action cameras 2018. Keep reading and following up this guide if you want to know some more interesting details about popular brands and their latest products. This is the last section of the guide which will focus on highlighting some of the best features of the most popular models of action cameras that are available online, as well as, in retail stores. You can skim through all the products that we have listed and can also add them to your shopping cart if you like. The first one on our list of 10 best action cameras 2018 is GoPro HERO 7 Black which replaced the earlier launched HERO 6 Black. It offers a lot of advanced features and the most important addition is the brand’s latest hyper-smooth image stabilization technology. It delivers gimbal-like stabilization and that too without the gimbal. This feature helps to predict your movements and corrects for camera jerks to provide amazingly smooth footage. Time warp video is another one of its unique features which is a combination of two existing ideas: regular frame by frame time-lapse shooting with hyper smooth technology. It creates a stabilized hyper-lapse, while the user interference makes for a better user experience. So you can comfortably capture super stabilized time lapse videos while you move about a pretty scene. You can boost the speed to up to 30x to convert longer activities into shareable moments. It also offers another feature called the super photo which lets you click the pictures as this model intelligently applies HDR, local tone mapping, or noise reduction to improve the efficiency of your shots. It allows you to make high-definition 4K videos, so if you are looking for greater image resolutions and do not care about the price, then we recommend you consider this model because it will not disappoint you. It is a rugged, as well as, waterproof without a protective cover and can go down to 33 feet (10m) and up for any kind of adventure. It even offers a voice control feature so that you can voice command it if your hands are not free while surfing or biking. Another unique feature that it boasts is that of live streaming. If you are a social media influencer or have your own YouTube channel and want to go live, this action camera allows you to share your story live. If you want to upload your video footages later, you can store your videos onyour SD card in high resolution so that the quality is not compromised on. With all these brilliant features, this model’s high price is surely justified. If you do not have any budget restrictions and want to make the most of your action camera shooting experience, we recommend you to add this one to your list. If you are more into water sports and need to know how fast you were going while surfing, or exactly where you were, then you should buy the one listed previously. However, the second model on our list of best action cameras is ideal for those who are low on budget and are not interested in additional features. This action camera has been specially designed for beginners because it is simple to operate and will not even hurt your pocket. Low on cost and simple to use does not mean that it boasts not even a single interesting feature. It offers impressive video quality and allows you to make 4K videos with 60 fps speed. It has a built-in Sony IMX377 image sensor which captures 12 MP pictures and films high-quality full HD footages. It also offers great image stabilization because of its built-in Electronic Image Stabilization (EIS) which delivers brilliantly smooth and steady videos. It makes sure you are comfortably able to shoot fast moving objects. It flaunts an intuitive UI design, with ultra responsive 2.2” gorilla glass retina touch-screen which displays images and videos clearly. It offers easy to change settings, switch shooting modes, preview and playback footage for beginners. It boasts of a long battery life and can support continuous 4K recording for up to 70 minutes. USB-C connector provides efficient power and quick data transfer. 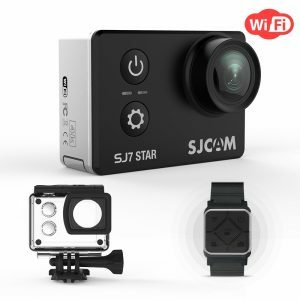 It features versatile travel camcorder with additional features like voice control, live stream, RAW image capture, built-in Bluetooth low energy and Wi-Fi connectivity. 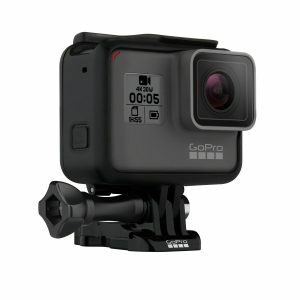 This is yet another model by GoPro which is an earlier model but what makes it the best adventure camera is the price. It is very much affordable and there is no doubt about its quality because of the brand name associated with it. This camera allows you to make 4K videos and click 12 MP photos in three different modes; single, burst, and time lapse. It has a durable design which is waterproof down to 33 ft (10m) without the need of a protective case. It allows you to preview and playback your shots, change settings and trim your footage. This model may not provide some of the advanced features you get in Hero6 and Hero7, but it still has got a lot to offer for its price. The video footage is amazingly smooth, and you can click still pictures in raw formats. It is simple to operate, therefore ideal for beginners. Additional features include a rear touchscreen, voice control, and GPS. This is one of the most feature-packed cameras available online, which doesn’t even make a hole in the pocket. Our list comprises of a variety of models by a number of brands and this one by Sony offers a number of interesting features. It is more on the higher end but the quality and additional features it boasts; definitely make it worth its price. The kit includes 8 products in total; all brand new items with manufacturer-supplied accessories. It allows you to make 4K video footage and share them as well with the Wi-Fi feature. You can even access GPS and it comes with a 64GB micro SD card for extra memory. It also comes with an extra battery, Vivitar all-in-one helmet kit, a camcorder case, a flexible camera tripod, 5 piece complete cleaning kit, and SD card memory card case. All action cameras nowadays are offering 4K at 30fps, but this brand’s action cameras are all about image resolution and frame rate. One of the most unique features of this model is its Balanced Optical Steadyshot (B.O.S.S) image stabilization. It works for all resolutions and recording models. It comes with an underwater protective case, plus with a wearable live view remote. It offers a smartwatch-sized contraption which allows the camera to be used over a distance while the images can be previewed in real time. 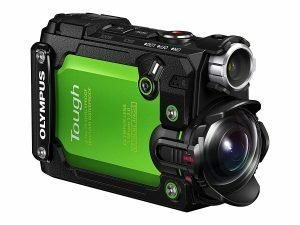 The TG tracker by Olympus flaunts a stylish green colored body with an ultra wide 204 degree lens. It offers a variety of headline resolutions; 4K at 30fps, standard 1080p at 60 fps, and a rare but impressive 240 fps at 720p for capturing slow motions videos. It features a small built-in LED video light. Other features include a tracker with GPS, compass, acceleration sensors, a barometer, accelerometer and thermometer which help to capture data from inside the compact case. It is also waterproof and can go down to 30 m or 100 feet and can even handle temperatures down to -10C. So for those who are big time adventure sports enthusiasts this is an ideal option, probably one of the best action cameras. It offers built-in stabilization and boasts an eCompass. It is an extremely durable camera which offers varied headline resolutions for video recording; 4K at 120fps, 1080p at 60fps, and 1080p at 30 fps. It allows you to click 16MP still image and is powered by Sony IMX206 image sensor. The built-in electronic image stabilization it flaunts helps to keep the footage stable. It is equipped with LCF touch screen, intuitive menu to switch modes and alter settings. It offers a long battery life of more than 2 hours (130 minutes approx.) at 1080p/60 fps so you do not end up worrying about your camera’s battery life, and instead enjoy your shooting experience. It offers 2.4G/5G dual band Wi-Fi and Bluetooth connectivity so that you can easily download video or photo from camera to smartphone at 50 Mbps. You can even control the camera from 330 feet afar. It offers 9 different shooting modes: video, photo, burst, time-lapse, loop, photo in video, manual IQ settings, automatic settings, and an optional fish eye effect. It also comes with an additional scratch resistant case and can stand up to -22 degree Fahrenheit temperature with anti-fog protection. With this action camera in hand you can shoot whenever and wherever you want to without any complications. It makes your shooting experience very smooth and simple. 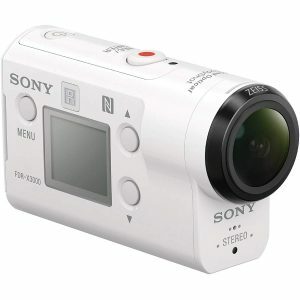 This one is yet another model by Sony which is the smallest splash-proof action camera available in the market today. Please note that it is not fully waterproof but only splash-proof. It offers Steadyshot image stabilization which tackles bumps and blur so that you do not get shaky pictures in the end. You can control this action camera via your smartphone due to its live-view remote feature. It offers 5 different video modes, as it allows you to make videos at 1080p/60 fps and click pictures at 50 Mbps HD. It also allows you to make 2x slow motion recording. It is equipped with built-in stereo mic for better quality sound recording. What makes this model the best action camera 2018 is its price, because it costs less than $200 and still offers all the necessary features. This one model offers many features and that too at an affordable price. It features Ambarella A12S75 Chipset and IMX 177 sensor, and a 2.0” sensitive touchscreen. The touchscreen feature offers a good user experience. High-resolution videos can be shot at 1080p, 4k, 960p, and 720p. Still images can be clicked at 12 Mp and are interpolated to 16 Mp. It offers you 170 degree super wide angle to record comfortable plus 3 FOV settings allow to catch up 170 degree wide viewing. It is quite different from the standard shooting angle of other cameras as you can get the most out of a small shot. It features advanced Gyro stabilization, as it can automatically tackle unwanted shaky movements during shooting. It also allows you to shoot in different filming modes like slow motion record and time-lapse. It features wireless Wi-Fi connection so that you can instantly share all your recording on social media networks or send them to your friends. It is made of reliable material, is sturdy enough to tackle all sorts of weather, and the metal body it supports is extremely durable. It is one great package which is usually used as a helmet camera or waterproof driving camera. The second last model on our list of 10 best action cameras 2018 is by the brand canned Olfi. 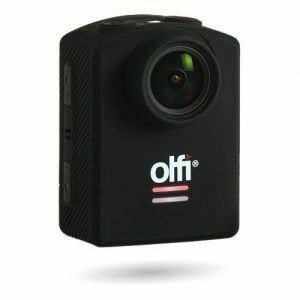 The Olfi One Five action camera is one of the most popular models because of its High Dynamic Range Video (HDR). It lets your capture 4K videos at a frame rate of 24p which seems pretty much standard now but wait a second; it is not the only thing this camera is about. It comes with an extremely attractive body and at a price which is very much affordable. It is priced less than $200, so those who are waiting to buy an action camera but are low on budget, check out this model on the brand’s official website. It is vertically oriented and is ideal for clipping to bicycle handles. It is a waterproof action camera which can go down to 30m, which means that not only bikers but also water sports enthusiasts can roll with it. It comes with a built-in Wi-Fi system which allows users to connect to the Olfi app and control the camera from your smartphone. It is especially made for beginners who do not want to spend a lot of money and is easy to operate. Additional features include; Gyro Stabilization and rear view LCD screen. 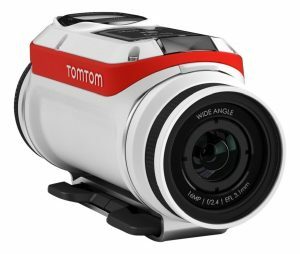 The last product on our list of best action cameras is another extremely popular and multi-featured action camera by TomTom. This is not a waterproof camera; instead it offers a splash-proof cover. A full 40 m capable lens cover is available, which is enough for a lot of users. It lets you capture 4K videos at 15 fps and you can even make slow-motion videos in less than HD resolution though. It comes with a GPS connectivity, accelerometer, gyroscope, and pressure sensors. The pressure sensors are used by the Smartphone’s app ‘Create a Story’ section which helps to automatically choose highlights from your created footage. Another interesting feature of this action camera is that all you need to do is shake the camera to create a compilation video, which is easy to both share and upload online. It provides immense battery power; the camera can run continuously for 3 hours. Therefore you can film non-stop with cable-free Batt-stick. The built-in sensors it comes with control speed, G-force, altitude, rotation, and playback videos. You can use the Bandit App and connect it to your camera for immediate playback and sharing. Additional accessories include; remote control, handlebar mount for biking enthusiasts, dive lens cover, power cable, 360 Pitch Mount, and Gopro mount adapter. Adventure on with the Best Action Camera! We hope not because still there are a lot of products in the market that you can have a look at and increase your options. You don’t necessarily have to stick to our list to find what suits best for you. Just remember all the crucial factors we had listed in the first section of the guide, like video and image quality, size and shape, memory, connectivity, battery life, additional features, etc and make a clear list which comprises of what all you want. Make sure that you do not forget to make a budget because it helps to cut a lot of other options and then you can shortlist products easily. If you want more information on any of the products we have listed in this guide, make sure you visit the brand’s official website and read up more on each model. All the best, we hope you make a wise decision.